The Buddhist temple Meguro Fudo (目黒不動尊) in Meguro, Tokyo. 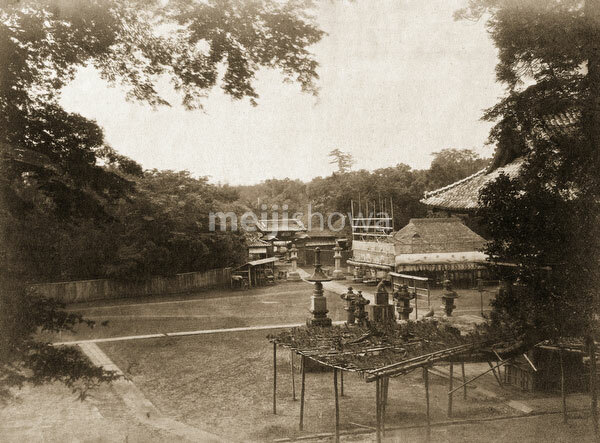 Published in The Far East (Vol 6, No 12) of June 30, 1875 (Meiji 8). The temple was established in 808.